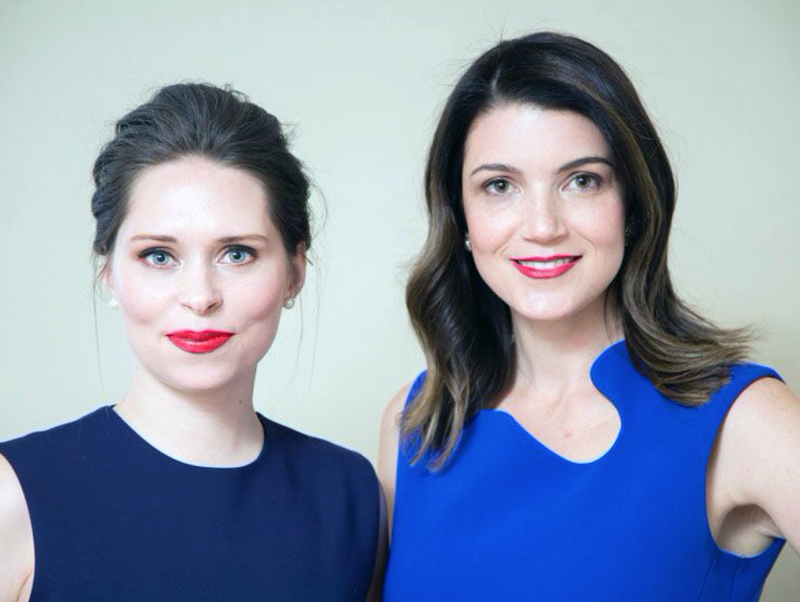 A conversation with Werk founders Anna Auerbach and Annie Dean. Auerbach: When I started my career, my incoming class was 50/50 men and women — but when I looked up, it was only 5% women at the very top. And that number hasn’t changed in the 12 years since I started my first job. After graduating college, I read so many articles about women leaving the workforce, and then I saw it firsthand: my friends and colleagues grappling with the fact that they had no choice but to leave, because they couldn’t do anything less than 110%, and that simply doesn’t work when your base is a 16-hour day. But I also knew that these women were the most talented, ambitious and credentialed people I’d ever met — so if they couldn’t make it work, who could? And they aren’t alone. More than 30% of the most talented women leave the workforce entirely after having children, but 70% would have kept working if they had flexibility. And yet, there is no job platform today that focuses on flexible, career-building work. Dean: When I went back to work after my first maternity leave, I couldn’t keep it all together. No matter how hard I worked, I couldn’t make any progress at work or at home and felt like I was failing for an arbitrary reason — that I was required to work long, uninterrupted days in my office at my desk. I never saw my son and I was unbelievably burned out. It felt like an environment that was designed for my failure. I had an “aha” moment one day at my desk when I realized that work didn’t need to be structured this way, and I started imagining what work might look like if it had been designed by women. Gross: Werk’s mission is to reinvent work for women by providing a marketplace of career-building, flexible work opportunities for ambitious women. Please tell me more about the innovative work opportunities people can find on Werk! While we do have some part-time opportunities, you won’t find any gigs or short-term project based jobs on our site because we are laser focused on keeping talented women in the workforce so they can advance to leadership over time. Gig work often presents an unfair value proposition to working moms and parents, and we fundamentally believe there’s a better way. Auerbach and Dean: You might be surprised to know that 80% of companies in the U.S. already have some form of workplace flexibility. The challenge, until now, has been implementation. That’s why the uptake on those programs is between 1–25% (depending on the survey). Werk provides companies with the tool and framework to implement strategic flexibility. The overwhelming majority of companies we talk to are very open to it — and the most common question we get is how we can help. We do feature a lot of startups and tech companies on our platform and that’s because those places already tend to be incredibly flexible and they are also constantly growing and hiring. Auerbach and Dean: More than 30% of the most talented women leave the workforce entirely after having a child, but 70% would have stayed if they had flexibility. That 30% doesn’t even include the percent of women who are forced into non-leadership track roles because, until now, leadership and flexibility have not been able to coexist. By providing women with flexible work that keeps them in the workforce and advances them to positions of leadership over time, we will have more and more women reaching the top. One of the biggest obstacles for women has been finding this type of work. We all know some women who have seemingly effortlessly navigated parenthood and flexibility at work — but for all those singular success stories, most women struggle to find flexible jobs in the first place. That’s where Werk comes in. We educate companies and aggregate and curate ambitious and flexible jobs — and there’s no other platform that has these types of opportunities all in one place. Auerbach and Dean: The biggest challenge has been how best to prioritize all of our objectives. We are exceptionally good editors and, as moms, we’ve become skilled at scanning and focusing on what’s most important. But there are so many challenges when it comes to women and work, and so many ways those can be addressed. We have focused on one solution that actually hasn’t been pursued before — but every day we have to ask ourselves to make sure we are focusing on only what is most important. It’s also challenging to know that we admittedly can’t solve every issue facing women today — particularly wage workers and women of color who are disproportionately disadvantaged despite being statistically more ambitious than their white counterparts. But we continually remind ourselves that the flexibility issue is one we absolutely can (and should!) solve, and that motivates us to keep going. The biggest reward is the knowledge that we had the courage and the commitment to create the life that we want, chase dreams that inspire us and build a future that we believe in. And the success stories — we keep every email we receive from users who have successfully used our platform to find a job and we treasure them. Auerbach and Dean: There’s no typical day! But there is consistency. We both get into the office after we drop our kids off at school. We now have a team of six and, as a team member recently said, I didn’t expect this job to be so…cerebral. We are answering a lot of big questions on a daily basis that are strategic to the business but also take into consideration our social purpose, and those are difficult to answer. And in between, we’re figuring out the little things that keep the lights on. We’re excited about our product, but we’re the most proud of the team that we’ve built, and it’s a genuine joy to come into the office every day. We leave at 5:30 pm almost every night, and we encourage our teammates to do the same. Of course, there are the exceptions, and we work from home after our kids’ bedtime nightly, but it’s very important to us that we see our kids and that our team can have jobs that are compatible with their lives. Auerbach and Dean: Being co-CEOs is core to our philosophy, our company and our relationship. We decided to be co-CEOs for a few reasons, but the most important is this: how awful would it be if we created a company promoting flexibility for others, but then could not practice what we preach? We are both exceptionally ambitious — and frankly, neither of us has ever met someone who works as hard as the other — but we also want to be present parents and spend time with our kids and families. Very early on we decided that job sharing CEO would be the best arrangement. But of course, the first question every potential investor asked is how we balance it. About a month into making this decision, we sat down and laid out every major function and decision that needs to happen, and we split them down the middle. We wanted to make sure that, although we are two halves of one whole, it was always crystal clear who had the final call on any decision. This was the first key element of making it work: clarity. Second, we focus on incredibly effective communication. We meet once a week for an executive planning session and make sure we are on the same page. And although we often take meetings separately, we make sure we can both join for critical items. Tenacity and resilience. A personality that is excited by challenge and always sees a pathway forward even when it looks like roadblocks ahead. There’s no magical DNA for entrepreneurs; you just have to work very hard and not give up. Dean: I think being observant is the first key skill; observing what people — whether they’re potential investors or company partners or users or new hires — are really thinking, so that I can understand them, address their concerns and talk to them like people instead of objectives. Second, logical thinking. I use the word clarity 50 times a day. We need to be clear about what we’re doing, and how we’re doing it. And being a lawyer has really helped me with that. Third, being a big picture creative. I read and consume as much information as I can and it helps me see problems in a unique way. And fourth, being a clear communicator. We all can always improve here, but the biggest surprise to me has been that business success is disproportionately about clear communication. You want to be able to say what you mean, and not be misunderstood. That can be hard and it takes practice. Auerbach: That all five-year plans were crazy! For the first time in my life, I don’t have a five-year plan. At every career step, I would think “this is it,” and make this very detailed plan of where I was headed and how — and although that made me successful in what I did — I don’t know if it opened me up to unexpected possibilities. Dean: That it would all work out. I worked so hard that I should have had the faith in myself to know that. But I spent a lot of time worrying about whether I would ever leave law and build the career I really wanted. I also wish I’d known that going into a profession as challenging and structured as law would be a positive in the long run — learning to think and communicate like an attorney has been an advantage. Elana Lyn Gross is an account manager and content strategist at mllnnl, contributor at Forbes, Monster, Thrive and other publications, and the founder of Elana Lyn. Elana Lyn is a personal and professional development website that provides millennial women with actionable job search, career and wellness advice.